Want your windows to look immaculate? Leave the hard work to Gaze A Glaze. Book Gutter & Window Cleaning together - Save £30! We offer both external and internal window cleaning and there is a significant discount for customers who commit to a regular visit of four times a year. We also offer gutter cleaning to our domestic customers using the SpaceVac – a vacuum cleaning pole system that can be extended up to 14 metres. Your home is your personal space and we recognise that many people are uncomfortable having outsiders on their property – even just external areas. For that reason we’ve tailor-made a truly high standard window cleaning service with a team who are both friendly and reliable. With the Reach & Wash system we use, residential properties normally only need cleaning four times a year. This cuts down the number of visits and usually works out far cheaper than the typical “bucket and ladder” man. We offer both external and internal window cleaning as well as gutter cleaning. There is a significant discount for those who commit to a regular visit of four times a year. All our cleaners are fully trained, uniformed, carry photo-identification and only use vehicles with company signage – so you know exactly who is on your property. We have extensive safety and quality standards accreditation including Safe Contractor and Contractors Health & Safety as well as the ISO9001 Certification, the most recognised accreditation for quality control purposes. For further details, visit our health and safety page. We do clean domestic properties outside of these areas, there is an additional charge to cover travel time - do call us for a quote. 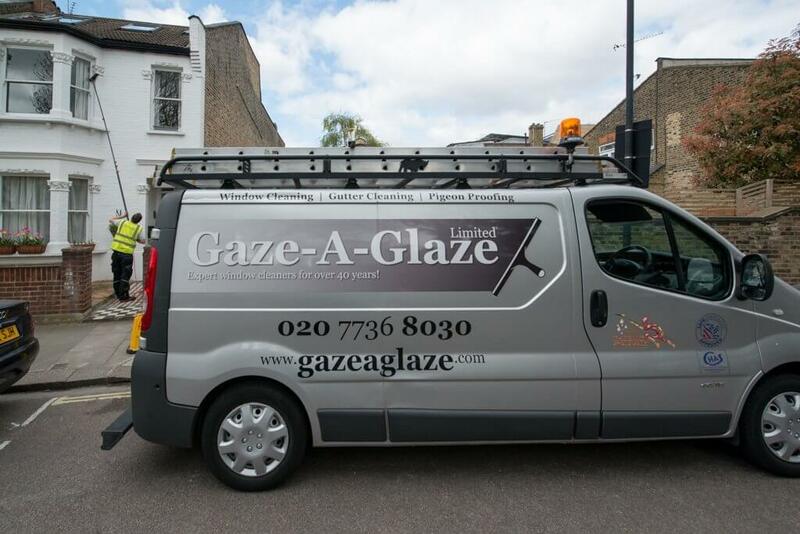 Ensure your windows are dirt and streak-free with services from Gaze A Glaze, Fulham.